I came across this article by Joe Beam on the Crosswalk website and I do believe it is a relevant topic in these times. She stared at me for a few moments. I think she was trying to decide if I were a jerk, or if I had a point worth considering. Finally she spoke. Her advice from “several friends” mostly came from one. “I witness many people encouraging others to end their marriages so that they might find some kind of belated justification to their own divorces. “You say she’s happy. Maybe. Does she ever talk about how tough it is to raise kids alone? She ever complain about trying to have a social life while attempting to be both Mom and Dad? “And did you really mean it when you said it doesn’t matter how it affects Tom or the kids as long as Linda is happy? Do you really think it does not matter if her kids ache because their Mom and Dad aren’t together? Think they may pray at night that God will make their parents fall in love again and remarry? Think it might matter to them? I based the story above on many discussions. Our culture seems to think that one should not consider his or her children’s emotions or desires when contemplating divorce. Instead, one should consider his or her own emotions and desires. 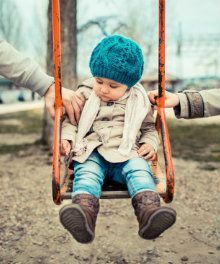 Some believe that the children will be better off if the parent is happy, even if they suffer for a while because of their parents’ divorce. When children are in danger sexually, physically, emotionally, or otherwise, divorce removes them from the presence and primary influence of the person hurting them. The same applies if the harm is directed at the other spouse rather than the children. Separation or divorce in situations such as those should occur, in my opinion. Please do not think that I want people to be miserable. When a marriage is difficult, I urge people to seek help to repair that relationship and make it good. People should demand respect, civility, affection, and all the other attributes a marriage should have. If a marriage is bad, a person should stand up to the situation and demand that they deal with their problems. Though Linda says it is wrong to stay in a marriage for the sake of the kids, from my experience working with thousands of couples, I state unequivocally that it is wrong to divorce without first considering your children. Children sometimes desire things that are bad for them. We understand the confused emotions of a child who begs to stay with a sexually abusive parent. The child abhors the abuse but loves the parent and fears being without him. As much as it breaks our hearts to witness the child’s pain, we know that we must remove the parent’s opportunities to hurt the child. We think of the child’s welfare. We do not allow their emotions to deter us from protecting them. However, that is much different from diminishing the importance of a child’s emotions because they conflict with what we desire. If those considering divorce allowed themselves to empathize with the pain in the hearts of their children, and their agony poured out in supplication to God as night after night they beg Him to make their parents love each other again, how could they not seek ways to repair rather than end their marriages? Children did not ask their parents to bring them into the world. Therefore, it is not the children who owe the parents. Parents brought their children into this world. That means the parents have responsibilities and obligations to their children. Every day our organization works with people whose marriages are in crisis. We hear the stories – infidelity, control, selfishness, and much more. When we hear of abuse or fear, we encourage people to get themselves and their children to safety. However, most stories involve behaviors that are not dangerous, though destructive to relationships. Behaviors that can change if either or both is willing to stop the things they should not do and start the things they should to make love take root again. Sometimes one spouse hurt the other deeply and must find the path to forgiveness. The hurt partner decides whether to forgive, and, if they are willing to do so, to learn how to reconcile their relationship. We witness the pain, frustration, and anger. Yet, since 1999 we have witnessed thousands of seemingly unsalvageable marriages develop deep love again. For many of them, their deep love for their children motivated the effort to repair their marriage. Because they knew their children craved and needed two loving parents, they pushed aside their anger and hurt long enough to find the help they needed. The greatest thing any parent can do for a child is to love his or her spouse. The most selfish thing a parent can do is to end their children’s current family because they decided they love someone else. Thousands end their marriages and put their children through pain because they feel that the new person they love is more important to them than salvaging the family they have. Sadly, they have plenty of Linda’s who cheer them on, telling them that their children will get over it. They emphasize happiness over responsibility. They forget that happiness always roots itself in what is happening and, therefore, constantly changes with time. They sacrifice the essential for the superficial, the life-long for the here and now. It happened over 50 years ago, but he lives it again when he tells it. You see it in his eyes and hear it in his voice. At five, he was the youngest of a large farm family. One day his parents gathered the children in the front yard and announced their divorce. The father moved several feet away from the mother and then told the children that each should walk to the parent they wished to live with. At five, my friend had just moments to make a decision he would live with for the rest of his life. I think so. So does my friend. Over a half-century later, he mourns that day. A parent contemplating divorce today might shrug off the story, convinced he or she will be much more considerate. However, even if the process follows a kinder route, it still results in a child living with one divorced parent (or neither) and having less access to the other. That experience – just like every other major experience in life – affects the child forever. As difficult as it is after divorce to balance weekends, summer vacations, and holidays when children are young, it gets tougher when they marry and have their own children. Even their weddings can be emotional earthquakes. I officiated many weddings where bride and groom struggled with which parent and his or her new spouse would enter when, sit where, and a hundred other “little things” that matter. Even when the parents and their new spouses act civilly, stress abounds. When one or more acts out because he or she feels treated with less honor than their former mate, calamity erupts. Too often, I have consoled a weeping bride on what should have been the happiest day of her life. If your marriage is in trouble, would you for the sake of your children make an effort to save your family? Not just save it, but to make it a good, healthy, loving marriage? You can find wise and caring people who will help you work on your problems. If you decide to search for one, be sure to ask how strong their values are in helping you save your marriage. Unfortunately, not every counselor or helper believes in saving marriages: Some take the easier route and advise divorce if your situation seems too difficult. Avoid those people. Find people who care and who do not give up if your problems take effort to overcome.